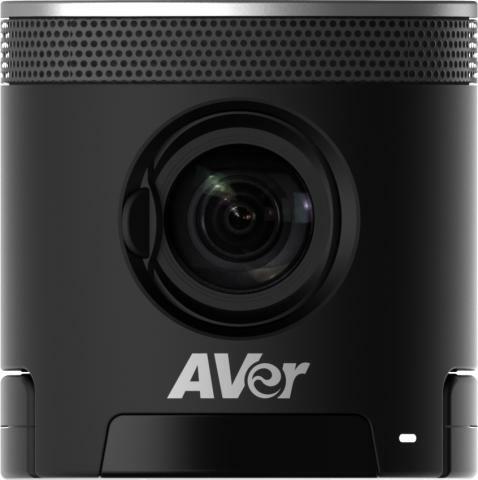 FREMONT, Calif.--(BUSINESS WIRE)--AVer Information Inc. continues to break boundaries of traditional video-conferencing with announcement of the latest CAM340. An affordable, professional-grade USB 3.0 conference camera that is the first true 4K camera of its kind to deliver a next generation video communication experience for huddle and small conference rooms. "We've never looked back since joining forces with Zoom Video Communications in 2015. AVer's professional VC520 and CAM520 cameras and audio solutions for mid to large rooms resulted in positive reviews and adoption. We are thrilled to continue our partnership with Zoom as we introduce our CAM340. Its 4K picture quality, wide angle, and electronic pan-tilt-zoom features provide the best video experience during any Zoom video conference," stated Eric Yu, Product Management Director of AVer Information Inc. Compatible with all your favorite applications, such as Zoom, Skype, Google Hangouts, and many more. The CAM340 utilizes the most advanced 4K sensor and high quality multi-glass lenses to produce the sharpest video for an exceptional video-conferencing experience. AVer's CAM340 auto white balance and exposure will provide the most accurate color even in the toughest lighting conditions. As a result, everyone can look their best in any huddle room regardless of the lighting. The system is ideal for the growing huddle room environment where attendees are closer to the camera and TV. 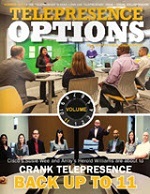 The camera offers one of the widest possible field of view to easily capture everyone in the huddle room. Users can zoom in up to 4x with the 4K sensor as if it was a traditional optical zoom camera to focus on presenters with precision and clarity. The high-quality, built-in, uni-directional microphone on top of the camera easily detects any conversations in huddle room environments by reducing unwanted background noise behind the system. Users are easily able to connect with all of their favorite applications virtually to any desktop or laptop, with just a single USB cable. Additional convenient features include a built-in TV mount, Kensington slot, privacy shutter, and support for an optional remote control. "Zoom has many happy enterprise customers using AVer's CAM520 in mid to large Zoom Rooms," said Oded Gal, Head of Product Management for Zoom. "The AVer CAM340 delivers the exceptional huddle room video experience rarely seen in the marketplace. It is a great fit for Zoom Rooms' high quality video, audio, and screen sharing in huddle and small room setups." AVer is an award-winning provider of visual collaboration and education technology solutions that improve productivity and enrich lives. From accelerating learning in the classroom to increasing competitive advantage for businesses, AVer solutions leverage the power of technology to help people connect with one another to achieve great things. Our product portfolio includes Interactive Flat Panels, USB Video Conferencing Camera Systems, Document Cameras as well as Sync and Charge Solutions for Mobile Devices. We strive to provide industry leading service and support that exceeds our customers' expectations. We are also deeply committed to our community, the environment and employ stringent green processes in all we do. Learn more at averusa.com and follow us @averinformation. 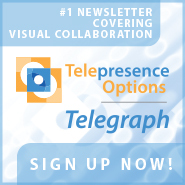 \"We've never looked back since joining forces with Zoom Video Communications in 2015. AVer's professional VC520 and CAM520 cameras and audio solutions for mid to large rooms resulted in positive reviews and adoption. We are thrilled to continue our partnership with Zoom as we introduce our CAM340. Its 4K picture quality, wide angle, and electronic pan-tilt-zoom features provide the best video experience during any Zoom video conference,\" stated Eric Yu, Product Management Director of AVer Information Inc.
\"Zoom has many happy enterprise customers using AVer's CAM520 in mid to large Zoom Rooms,\" said Oded Gal, Head of Product Management for Zoom. \"The AVer CAM340 delivers the exceptional huddle room video experience rarely seen in the marketplace. It is a great fit for Zoom Rooms' high quality video, audio, and screen sharing in huddle and small room setups.\"